For a couple of months I was intrigued by node.js, but i couldn’t find any simple guides to start with node on windows. 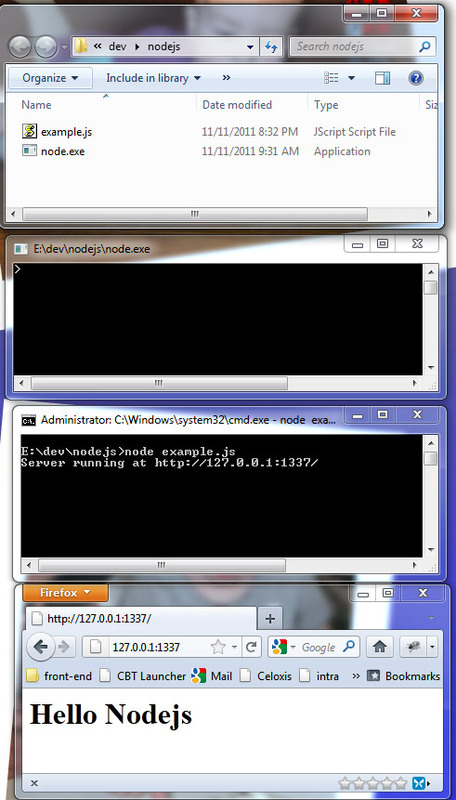 It turns out it is actually very simple to start learning node.js on windows. To start you need 4 things. Save the script below as example.js in the same directory as the downloaded node.exe file. Now all you need to do are the following steps.